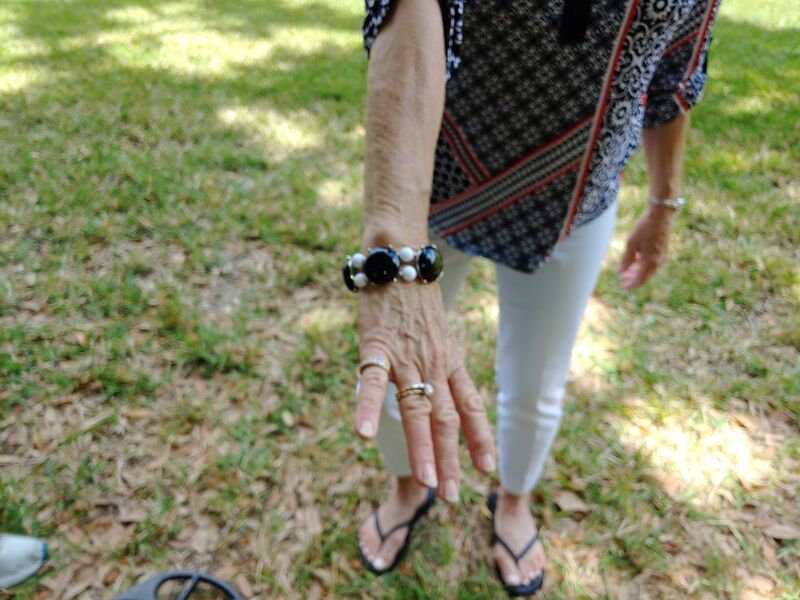 Upon notification of Howard Mets of a missing diamond ring in Brooksville, I called Mrs. Emily Harris and arraigned a time to meet her: Sunday March 24th at 2pm at her home. 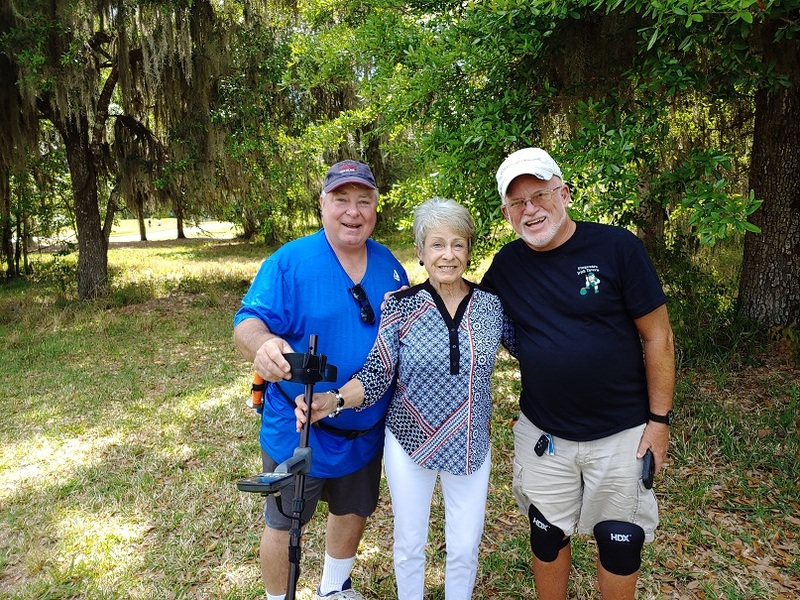 SRARC member Bill Frosch and I arrived at her house a few minutes before 2pm and Mrs. Harris showed us where she had been washing her car in the side yard of her house. I picked up a very strong surface signal, and using my pin pointer, located Mrs. Harris’ ring under the leaves, in the grass. Mrs Harris was ecstatic over us finding the ring and was beaming ear to ear.